Our collection of jack o’lanterns this year. 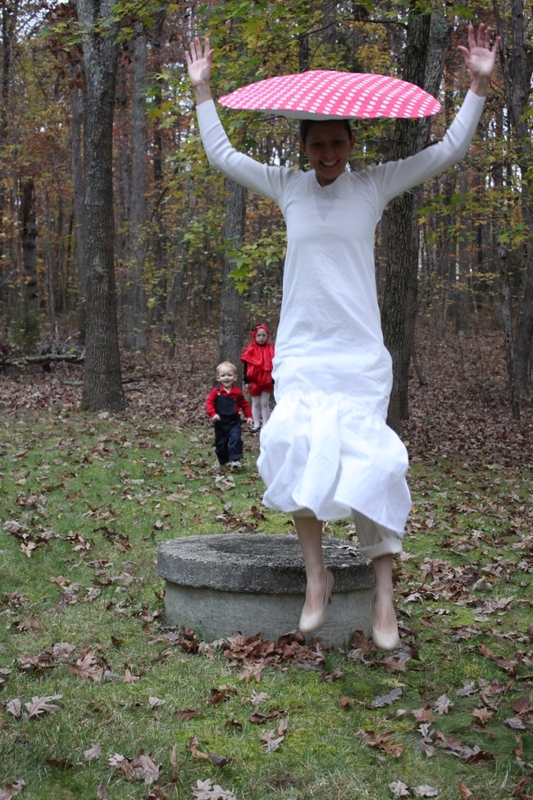 We are still in holiday mode at our house, recovering from a wonderful Halloween celebration yesterday. Here are a few highlights from our celebration. She then went on to describe her interest in being a character from the Mario Brothers computer game. We don’t own a game-playing system so I was curious as to how she even knew about Mario Brothers. She showed me how you can watch people play video games on YouTube and that she thought Mario was awesome. 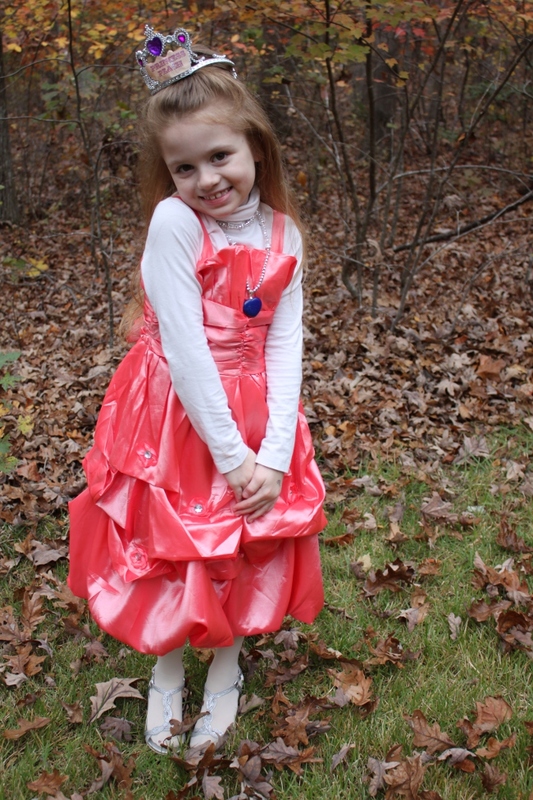 She wanted to be Princess Peach, the damsel in distress that Mario and Luigi rescue. 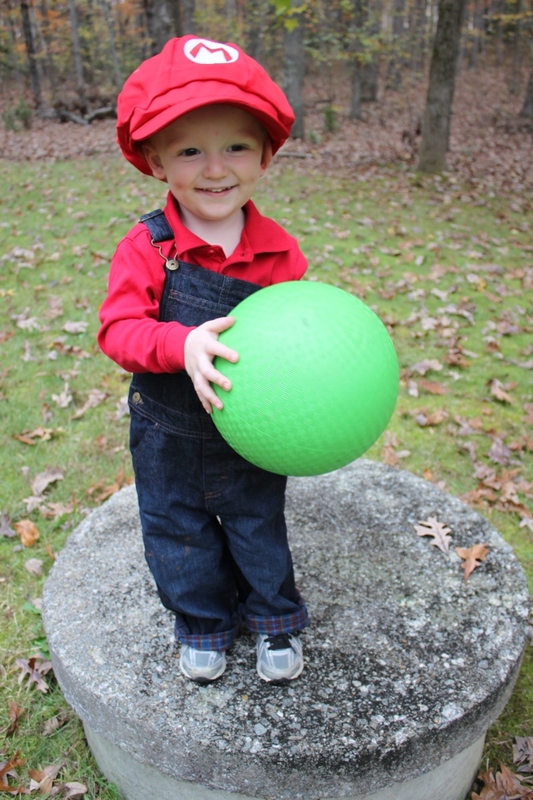 She wanted my son to be Mario and my husband Luigi. You can purchase officially licensed costumes for Mario Brothers but they can be on the expensive side. We also wanted to put a little personality into our costumes so we made our own. 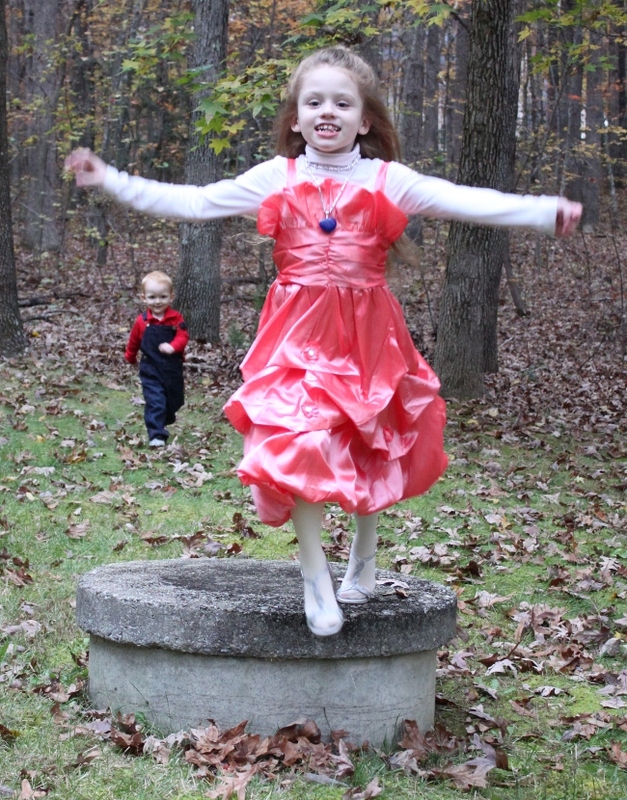 We found the princess dress for $11 on eBay and repurposed a birthday crown. The Mario and Luigi hats were about $5 also from eBay. Overalls for my son were $12. The only “expensive” item was the overalls for my husband. For some reason, you can’t buy men’s work overalls cheaply. We finally found a pair for $27. Fortunately, all of the clothing items can be reworn for other occasions. Our version of Princess Peach. Mario, who would only keep his hat on if you keep his hands busy by handing him a ball. 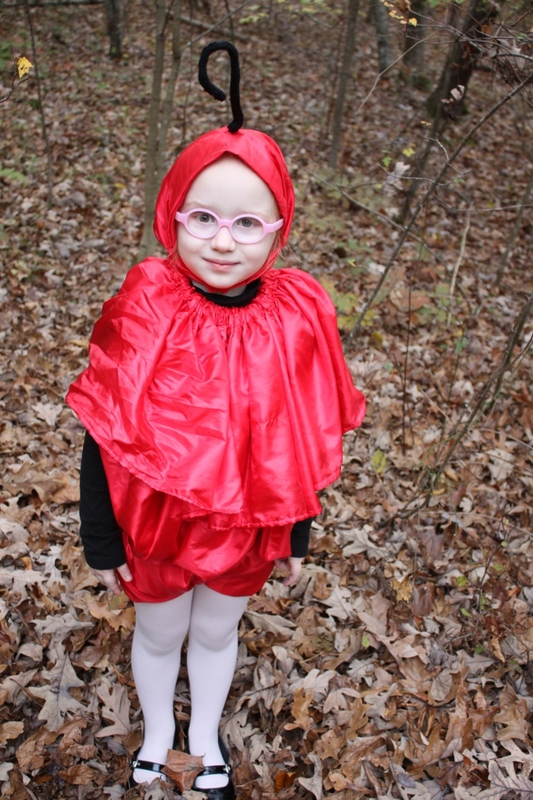 My 5-year-old then chimed in that she was going to be a cherry for Halloween. A cherry? Is there a cherry in Mario Brothers? It turns out that there is. 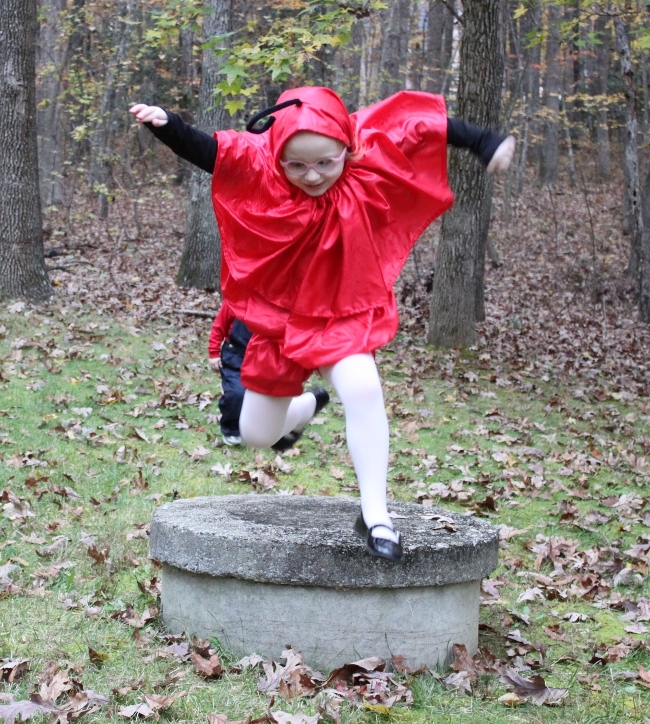 Following the lead of self-determined Halloween costumes we allowed her to choose as well. Somehow we would make the cherry work. 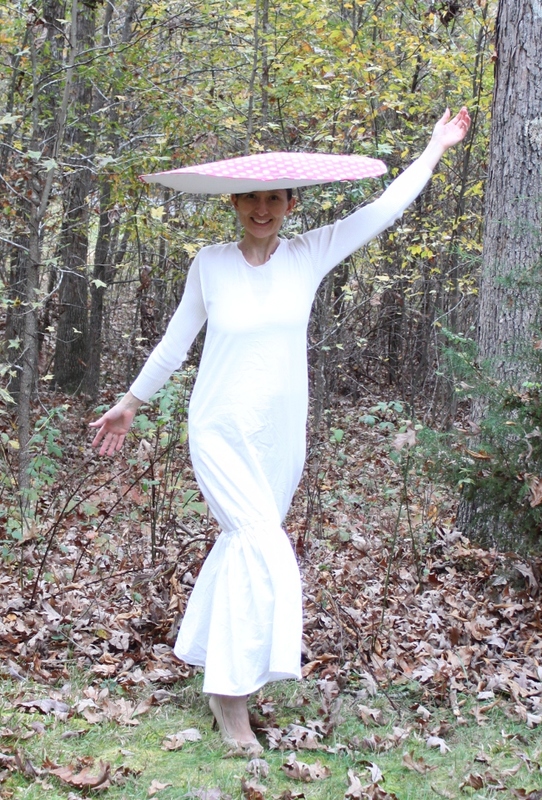 Since she was going to be a cherry, I decided to join her as a botanical element and be a red and white mushroom from the game. They don’t make pre-made cherry costumes and mushrooms are a bit unusual too so some creative sewing was required here. 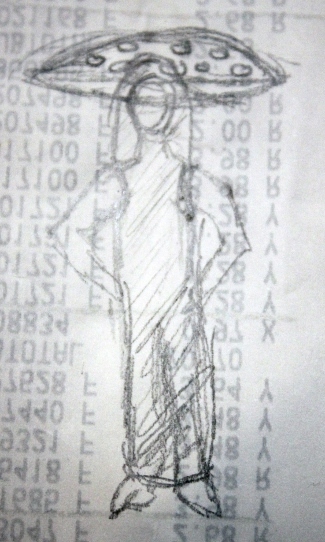 I sketched out my designs on the back of a grocery receipt and took to the sewing machine. Quick sketch for the cherry costume. Quick sketch for the mushroom costume. 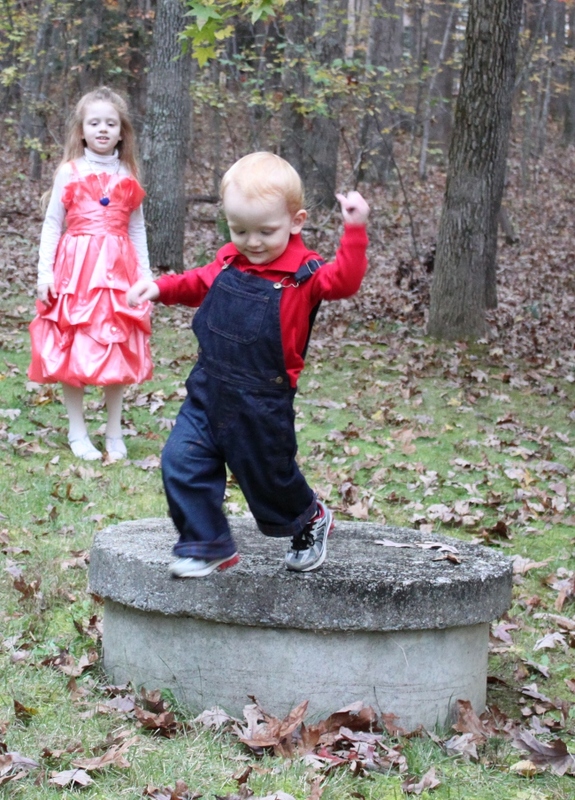 We took some great family pictures in our costumes. My favorites were the “jumping” series. We have a septic system head that bore a great similarity to the pipes in the game. So we all took turns jumping off of it. 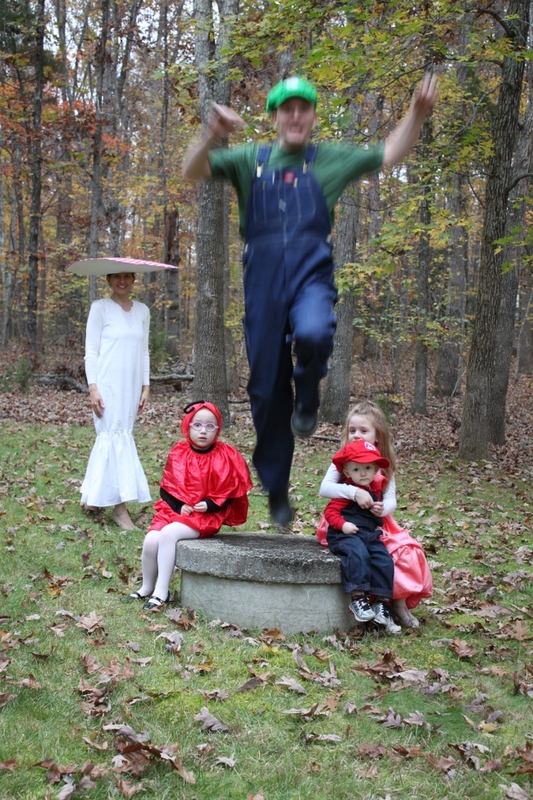 The best jump came from my Luigi husband who even managed the pose from the game. My children have been looking forward to trick or treating all month. This is the first year that my son understood the concept. He learned the word “candy” just a few days ago. As we approached each house, he excitedly grabbed his treat bucket and shouted, “Candy!” He told each person “Thank you!” as well. Our neighborhood put on an incredible trick or treat event. Everyone was very generous with their treats. 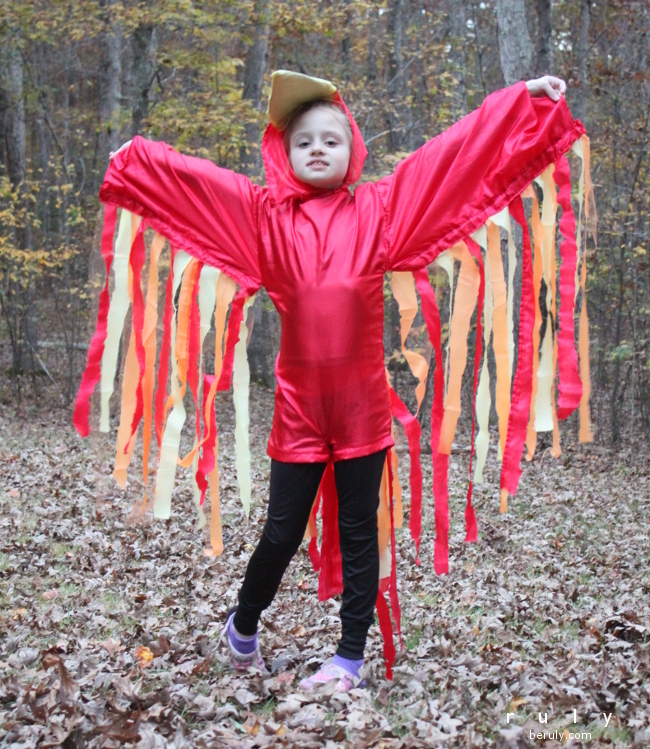 There were great house decorations to admire, pet costumes and fun Halloween-themed sweaters. 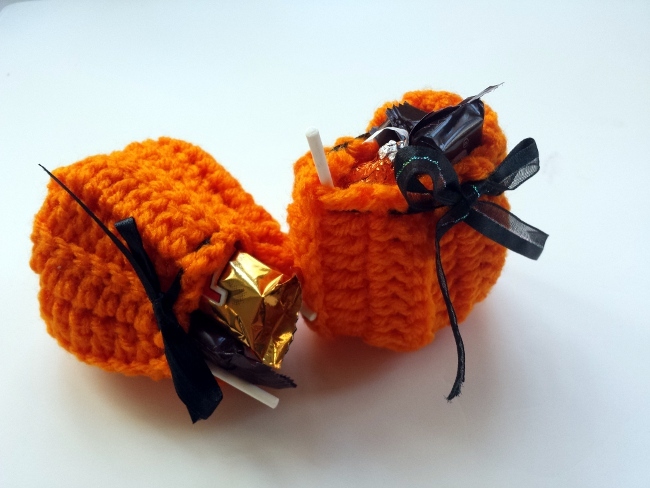 One neighbor crocheted these adorable treat sacks, which I love! Everyone has a favorite candy. My eldest daughter likes Kit Kats the best this year. 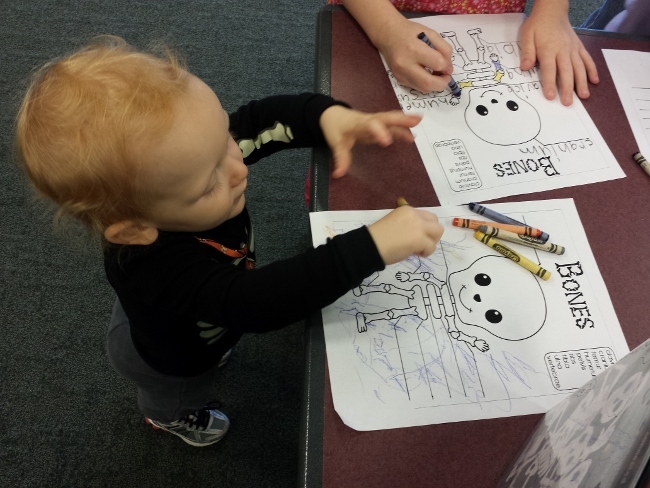 My youngest daughter loves the Halloween Peeps. My son seems to like it all. The funniest moment, however, came when my daughter opened a treat sack and yelled out in surprise, “Mom, somebody gave out art supplies!” This was her favorite of all. New markers are the best. 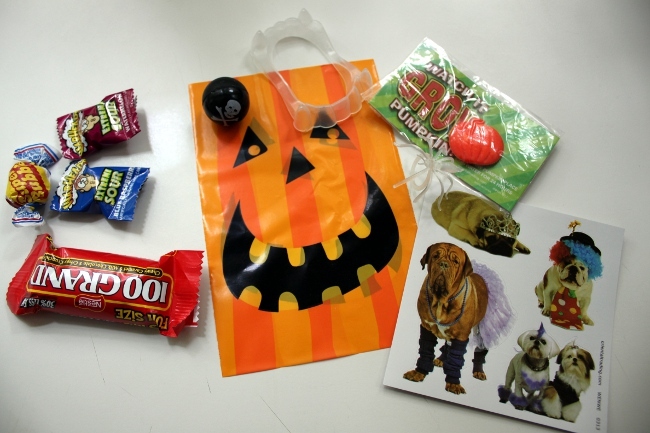 As for us, we gave out a treat sack with a mixture of candy and non-candy treats. The exploded contents of our Halloween treat sacks this year. With the passing of Halloween, it is officially the start of party season. October, November and December are basically month-long parties each culminating in a huge holiday celebration. Fun, right? Yes, indeed. But also a time management challenge. In addition to all of your regular day-to-day tasks, add in cooking, decorating and shopping. It is a time to be very thoughtful about our time and our stress levels and make sure we take time to take care of ourselves too. 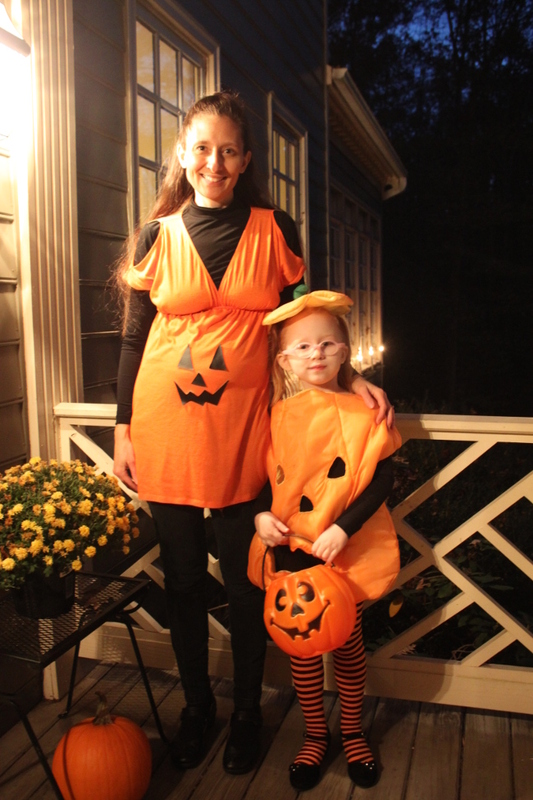 Hope you had a wonderful Halloween! 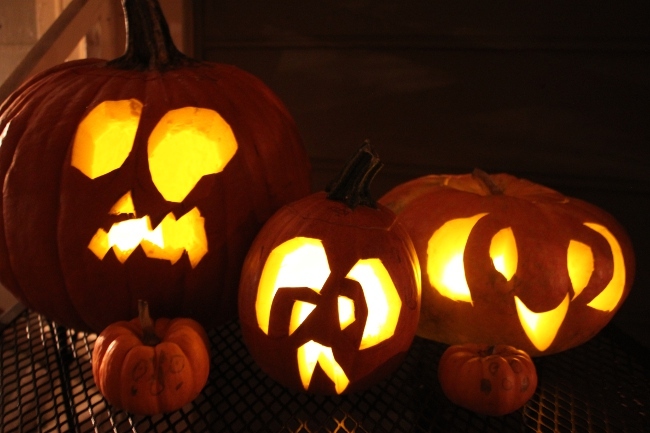 Please share in the comments any of your favorite Halloween memories.